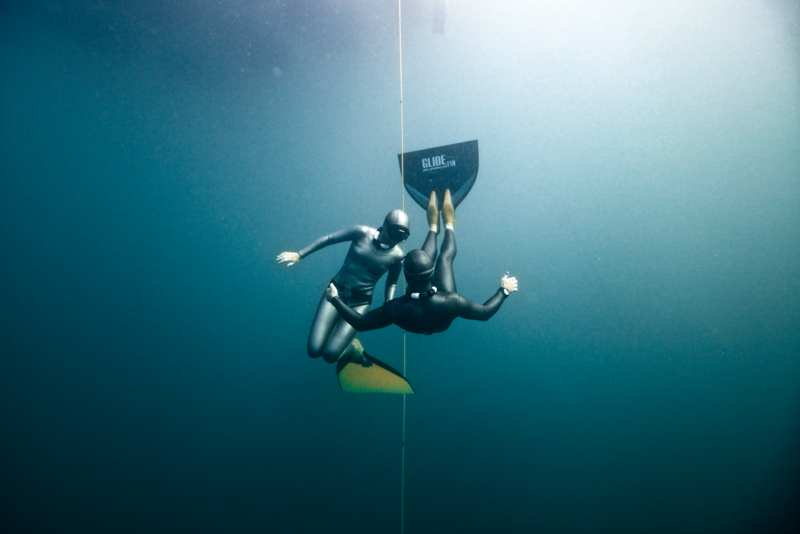 New Static National Record for Georgina Miller at the 7th Mediterranean Freediving World Cup! Saturday 28 June 2014; — On the 20th June 2014, Georgina Miller beat her own static national record, holding her breath for an incredible 6 minutes and 27 seconds at the 7th Mediterranean Freediving World Cup (www.freediving-club.gr), hosted by Stavros Kastrinakis. The previous record she set was in 2012 of 06:20. On the morning of the static competition, George, who has been suffering from bouts of competition nerves of late, dealt with them beautifully by she says ‘concentrating on one step at a time, rather than looking at it as a target’. A lot of thought, training and energy goes into a long static performance and George is very positive when talking about the discipline which she genuinely enjoys tackling. Georgina freely offers advice and openly shares her experiences with fellow athletes, genuinely wanting to help them improve and see them succeed. She credits her partner and coach, Daan Verhoeven (www.daanverhoeven.com), with her success: ‘I give enormous thanks to Daan for all of his help, love, advice, incredible pictures and fantastic coaching.’ George also reflects that a calm environment is essential to performing at your best and at such a high level: ‘Stavros Kastrinakis has organized an amazing 7th Med World Cup series, making the athletes feel relaxed and supported. Good performances and records are only possible with the help of friends, coaches, safety and organization. So thanks to my friends at London Freediving too for your support!’ As well as gaining a new national record, Georgina also came 2nd out of the women for the main depth event. The idea of the competition was that the athlete choose one discipline to compete in and the highest point score won, simple (there was an opportunity for people to choose a second discipline if they wished to do so as well). No prizes were up for grabs just Northern love – this was a competition done for the chance to compete and for the sheer fun of it. The winner of the day was John Moorcroft, an Instructor for Apneists UK ( www.freedivers.co.uk ) and UK Team member, who did a very comfortable and impressive 154 meter DNF swim. John used to hold the DNF record and by his own admission had not done a huge amount of training, making the swim that much more impressive! 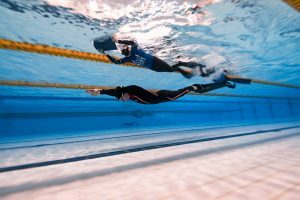 Coming first out of the Women was Georgina Miller of London Freediving, another UK Team member and National Record Holder who completed a huge static of 6 minutes 15 seconds. George then went on to do a big 104 meter DNF swim, finishing off her day in style. It was great to see George do so well, especially after a freak accident with her toe, which prevented her from competing just moments before her starting time at the Great Northern International earlier in the year. The pool was provided by Wright Robinson College and as you would expect with Apneists UK, there was a strong team on hand ensuring the smooth running of the day. We had a fantastic crew of safety divers swimming around looking after the athletes, wonderful judges Mandy Buckley and Gary Lowe watching the Official Tops, as well as photographers and other volunteers. Well done to Steve Millard and Apneists UK for pulling another competition out of the bag and providing athletes across the country to gather, compete, and generally have a lot of fun!